A concealed set of unsprung solid mortice knobs, reproduced from a classic Regency. 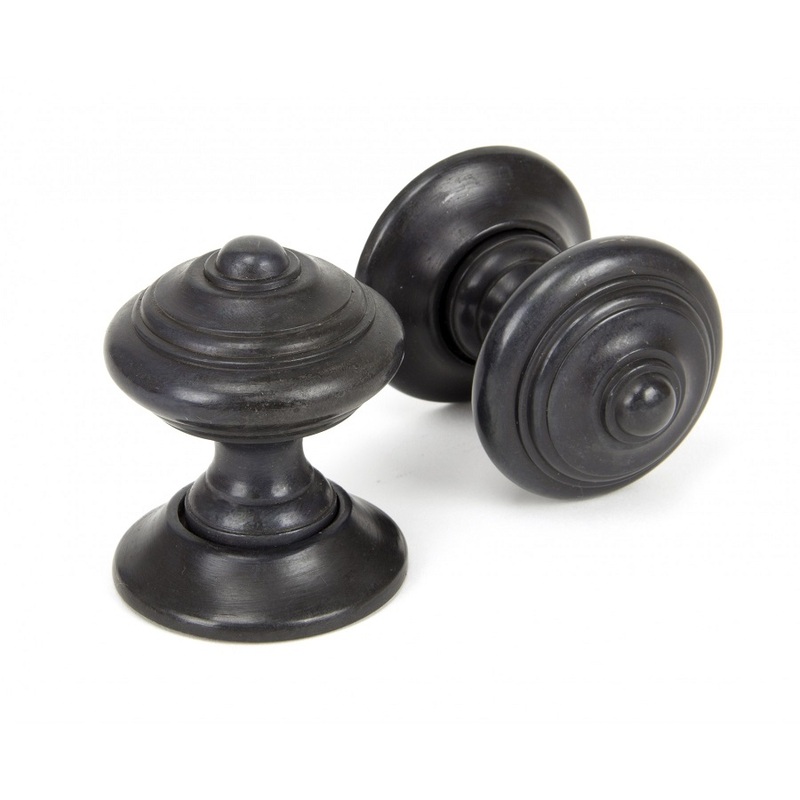 As with the original, this door knob is cleverly designed and screwed to the door with a concealed baseplate, finished with an elegant threaded bronze rose that conceals all fixing screws. The simplicity of this design makes the door handle suitable for many property types. Suitable for Mortice only. Not for use with Rim locks. Please note this product is also available in other finishes. They have 8mm x 140mm spindle to take adjustment for various door thickness. For best results the centre of the knob should be a minimum of 3'' from the edge of the door. Heavy Duty latches 4'' or 5'' are recommended for maximum efficiency.